Comment: Apple is still a very big player in this ecosystem. Their Mach kernel is the basis for MacOS but is this UNIX, BSD or something else? DEC was purchased by Compaq in 1998. As of 2001, Compaq still supports OpenVMS on both VAX and Alpha hardware platforms (but no new VAX hardware has been manufactured since 2000-09-30). On 2001-06-25 Compaq announced they will port OpenVMS to Intel's Itanium (IA64) processor. Since Unix was free to Universities, this OS was probably responsible for a large number of PDP + VAX sales. Hebrew is supported in certain layered products like Motif and All-In-One. Note: there may be more languages I don't know about. marketing has improved since HP took over Compaq. In 2003, HP claimed the OpenVMS business was growing 10-12% per year. ... initially DEC (Ken Olsen) refused to put TCP/IP on OpenVMS (this was first done by 3rd party vendors like SRI, TGV, Wollongong, and Process Software). DEC engineers had ported TCP/IP libraries from BSD into ULTRIX calling it UCX (Unix Communications eXtensions). After Compaq purchased DEC, UCX morphed into a product called "TCPIP Services for OpenVMS". Process Software now is the provider of two OpenVMS stacks, TCPware and MultiNet. 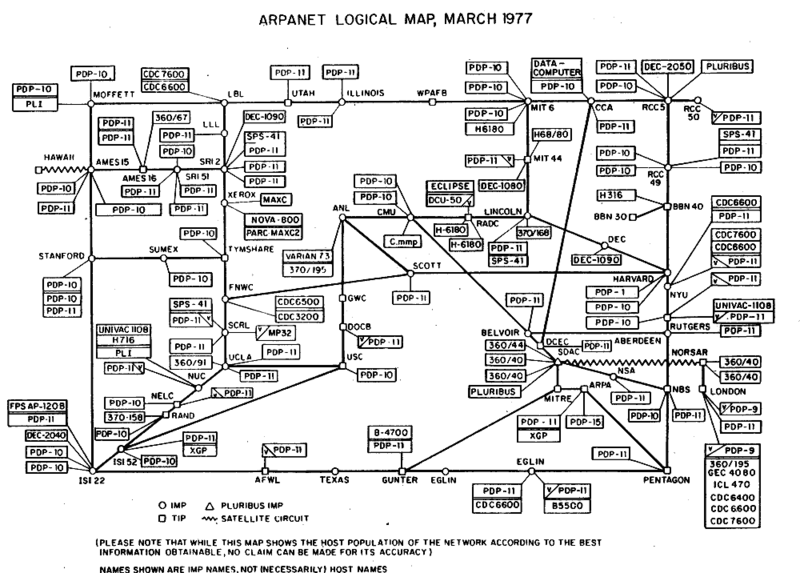 During the breakup of the Bell System (1982-1984), AT&T tried to regain control of Unix then announced their intention to charge universities for access to the source code. This triggered a lot of forking which (ultimately) led to the marriage of GNU (everything rewritten except the kernel) and Linux (the kernel). The duo are now being continually improved by the brightest minds in the world. MFS (memory file system) allows a fully functional file system to exist in memory. Very cool. A <space> is considered command punctuation while a <comma> is considered a list separator. This command will return a syntax error and immediately stop. command line options are prefixed by one or two dashes. This command will first delete all files then (jumping to the next item in the list) will delete all files named ".junk". If you happened to insert a "-r" switch after the "rm" command, all the directories under your current position will be recursively deleted. If you were in the root directory, you could wipe your whole disk! All OpenVMS processes (system and user) are forced to engage in quota-based resource management. A process may want to spawn forever or request use of the whole page-file but will not be allowed to do so. then dropping into SYSBOOT to set SYSGEN parameter STARTUP_P1 = "MIN"
For example, when the system is at level 1 the administrator enters "init 2" or "init 3" to open the system to other users. various startup (S) scripts in "level directories"
eg. executing "init 3" would access scripts in directory "rc3.d"
various shutdown (K) scripts in "level directories"
OpenVMS is ported to other processor platforms like Intel's x86-64 family. In 2002, Compaq merged with HP. The new HP didn't want to maintain two flavors of Unix so they decided to kill Tru64. ULTRIX (by Digital Equipment Corporation a.k.a. DEC) is officially unsupported as of 1999.12.31. This OS ran on MIPS based processors manufactured by DEC.
Linux is available free of charge under GPL (general public license) and is distributed and supported by companies like Red Hat , Mandrake , just to name two. See linux.org for an more extensive list of distributors. Note: contrary to popular belief, there is no actual operating system named Linux. Linux is really just a different Unix kernel with BSD (or GNU) applications tacked on. Read this 'extreme tech' article for more info. - Note: on April 2010, Blackberry maker RIM announce the purchase of the QNX product line. Multiple instances of OpenVMS operating systems can run together on the same hardware platform in something known as a galaxy configuration. Different operating system versions are allowed which means that systems may be upgraded with more rigorous testing. This allows valuable products from groups like www.apache.org and www.isc.org to make their way effortlessly into the OpenVMS community. Contrary to popular belief, there is no actual operating system named Unix. Unix is a generic name which means that "Unix style operating systems" appear to have many similarities. They also have many differences. One cool variation is GNU which is a method to get around Unix copyright problems. Contrary to popular belief, there is no actual operating system named Linux. Linux is really just a different Unix kernel with BSD (or GNU) applications tacked on. Read this 'extreme tech' article for more info. 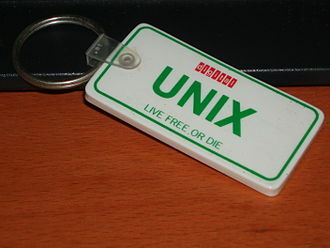 SCO does not own "Unix"; they only own the source code for the AT&T flavor of Unix. Click www.opengroup.org for more details. Although I've never seen a benchmark comparing OpenVMS to any flavor of Unix, I perceive that the Unix machines, in general, are somewhat faster doing certain tasks. But a recent IEEE article by retired Intel chip designer Bob Caldwell explains why faster isn't always best. He explains that many times the fastest things in the world are also fragile. Take thoroughbred race horses for instance, their muscles are strong enough and the bones are thin enough to do just one thing; win a short race. They're also high strung, succumb to higher rates of disease, and have a shorter useful life. From my perspective Unix systems are fast and fragile like thoroughbreds while OpenVMS systems seem more like dependable Clydesdales. Also, it is my experience that many Unix systems need to be rebooted at least once a month just to recover from memory leaks (although this has changed for the better since 2004). On the other hand, I have personally seen many OpenVMS system stay up for years and we only knocked them down when dealing with environmental concerns like moving an associated electrical panel. 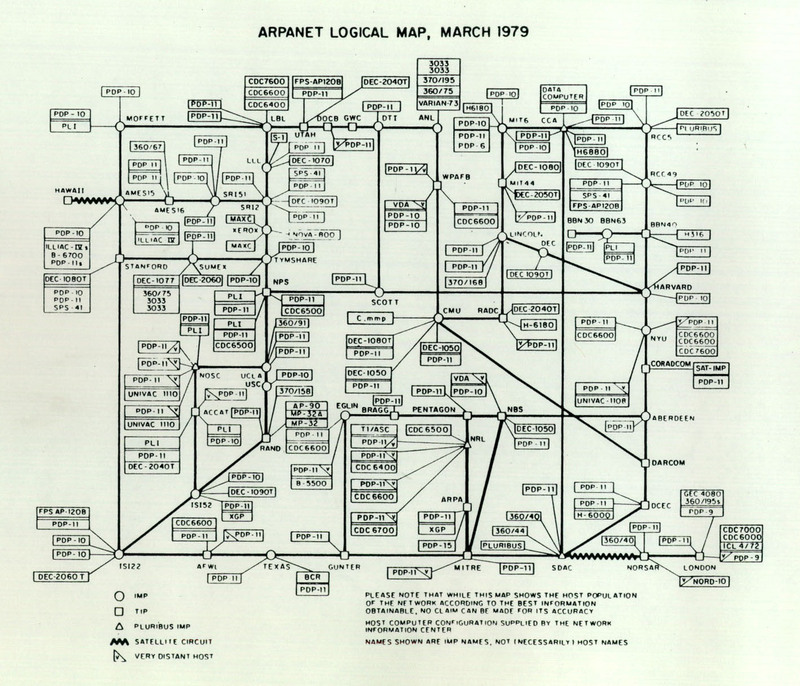 Now that I'm a little older and hopefully wiser, I can see that my previous view of computing was somewhat reckless. I now know that my younger vision was similar to that of an Indy-500 racer (very high speeds; many crashes; many break downs) while my current view is closed to that of a Chevy (reliable; fuel-efficient; safer). That said, my Alpha Server DS20e is so fast that I can write safer software in VMS-BASIC and VMS-C, but still can have it run full tilt on a break-neck hardware platform. I had my first official VMS course ("VMS Commands and Procedures") in 1987 at Digital Equipment Corporation in Toronto, Ontario. We were using VMS 4.2 at that time and I was really impressed with how easy it was to create and manage batch queues, print queues, and do tape and disk backups. On the last day of the course our instructor gave us a little sales pitch about development efforts in clustering, volume shadowing, etc. which were going to appear in VMS 5.0 and we were impressed. Ten years later in 1997, I had my first official DUNIX course ("Digital Unix System Admin") at Global Knowledge in Ottawa, Ontario, and to my surprise, the place was filled with ex-instructors from Digital's Kanata training facility. Most of the students in our class were contented OpenVMS administrators whose companies were moving to DUNIX. I remember students asking questions like "when will OpenVMS feature so-and-so be available in DUNIX?" and the instructor would always respond with "That feature is expected in DUNIX 5.x"1. At that time it occurred to me that DUNIX 4.x was probably equivalent to VMS 4.x (with a ten year gap between them) and the engineers at Digital were putting their VMS "know how" into DUNIX. Since then, DUNIX version 4.x was improved and released with the name Tru64 version 5.x, and DEC was purchased by Compaq. I've played with many Unix flavors but Tru64 is the best I've seen to date. The Advanced File System (AdvFs) and the Logical Storage Manager (LSM) are two features that I hadn't seen on any other flavor of Unix. At this point I wasn't knocking DUNIX. All flavors of Unix had similar short comings compared to OpenVMS. (I still prefer the OpenVMS concept of batch queues compared to UNIX's cron jobs). after HP merged with (purchased) Compaq, HP started moving features from Tru64 into HP-UX (they need to do this so they can kill Tru64). They acknowledged that certain Tru64 features like clustering and "distributed lock manager" originally got into Tru64 from OpenVMS. with the release of OpenVMS 7.2, all disks (with the exception of the system disk) can be changed from ODS-2 to ODS-5. ODS-2 required that file names be no longer than 39 characters exclusive of the extension (which could also be up to 39 characters in length) and the "dot" separator, couldn't contain most punctuation symbols, and had to be upper case (I believe the internal DEC name for this was RAD-50). ODS-5 allows Unix style filenames. Now the total file name length, including extension and separators, can be up to 236 characters and may contain any 8 bit character (except * and ?). This makes OpenVMS and ideal back room server for Windows clients. with the release of OpenVMS 7.3-1, the system disk may also be changed to ODS-5. These processes would always use (or display) a time which would be a time-zone altered view of the system clock. VMS to Unix Translation compares OpenVMS DCL commands to Unix shell commands. A few OpenVMS commands are missing from this list like "$TYPE/TAIL"
There are two dozen huge computer systems in the Advanced Research Projects Agency network. Over half of them are DECsystem-10s. Our Supercomputer. MIT has two. So does Utah. Then there's Harvard, BBN, Carnegie, Case, SRI, Stanford and Rand. Which should give you some idea of how popular our DECsystem-10 really is. sciences, and much more. Everyone shares their computer and expertise with everyone else. Everyone comes out ahead. 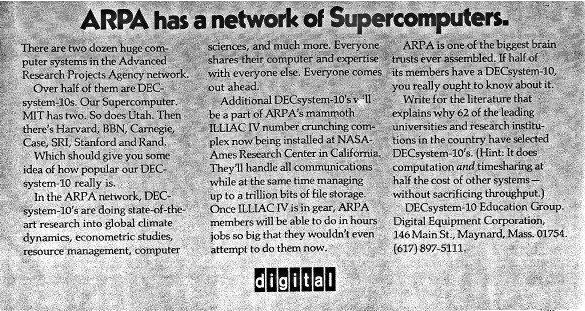 Additional DECsystem-10's will be part of ARPA's mammoth ILLIAC IV number crunching complex now being installed at NASA Ames Research Centre in California. They'll handle all communications while at the same time managing up to a trillion bits of file storage. Once ILLIAC IV is in gear, ARPA members will be able to do in hours jobs so big that they wouldn't even attempt to do them now. ARPA is one of the biggest brain trusts ever assembled. If half of its members have a DECsystem-10, you really ought to know about it. DECsystem-10 Education Group. Digital Equipment Corporation, 146 Main St., Maynard, Mass. 01754. (617) 897-5111. Kitchener - Waterloo - Cambridge, Ontario, Canada.